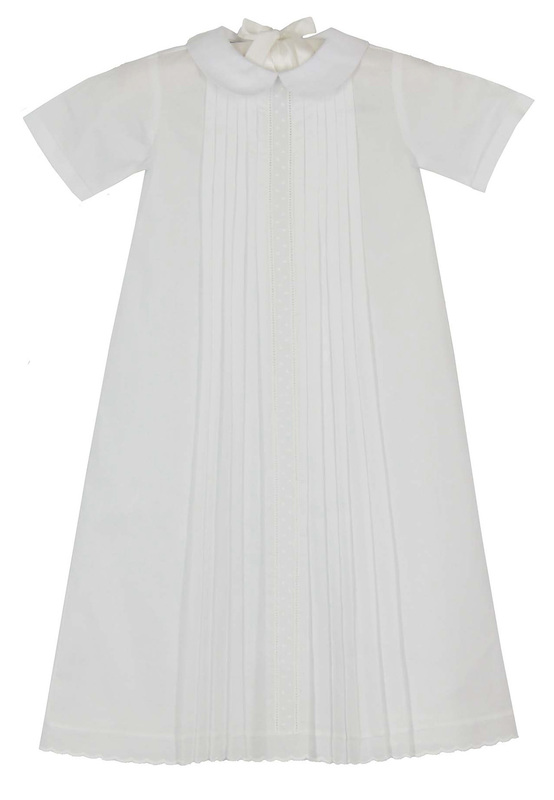 This beautiful white cotton daygown is made by Marco & Lizzy, a leading manufacturer of classic children's clothing. 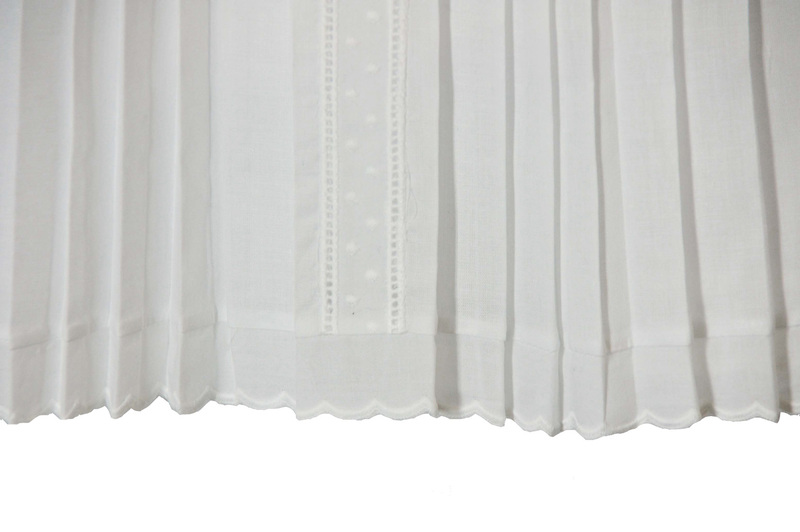 Perfect for a baptism or take home gown, it features front pleats centered with fagoting and embroidery. 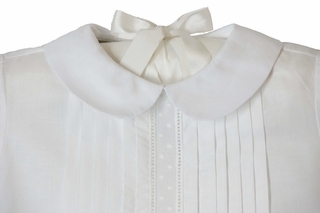 The gown has short cuffed sleeves, a Peter Pan collar, a scalloped embroidered hem, and a back buttoned closure.